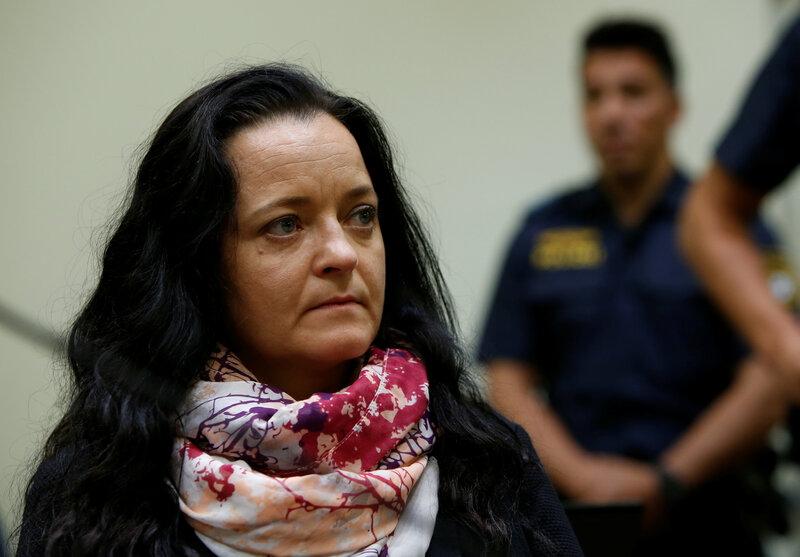 Beate Zschaepe, 43, showed no reaction as the judge read out her sentence at the end of one of the most closely watched court cases in Germany’s post-war history. The murders shook a country that believed it had learned the lessons of its past. A report later said police had “massively underestimated” the risk of far-right violence and that missteps had allowed the cell to go undetected. The judges said Zschaepe bore “particularly heavy guilt” and handed her the heaviest possible sentence. “This is a just punishment for the NSU’s cold-blooded and unprecedented series of crimes,” Bavarian Interior Minister Joachim Herrmann said in a statement. Five of the 10 murders took place in Bavaria, the most violent attacks of their kind in Germany since the far-left Red Army Faction’s two-decade killing spree that ended in 1991 and left at least 34 dead. “What the perpetrators did cannot be made up for. The victims will never be forgotten,” said German Foreign Minister Heiko Maas. He said Germany needed to tackle racist violence with diversity and the strength of law. Zschaepe’s lawyer, Mathias Grasel, said he would appeal against Wednesday’s ruling. Turkey’s foreign ministry said the trial had not uncovered the full story of the murder of its citizens and the other victims. “Unfortunately, the ruling made today has not brought to light the real criminals, the background of the NSU murders and the connection between the deep state and intelligence to its full extent,” it said, without going into further detail. Relations between Germany and Turkey deteriorated sharply after Ankara’s crackdown on suspected supporters of a failed military coup in 2016, but have begun to improve lately.